Omega advertising image released hours before Eon Productions announced Danny Boyle was exiting as Bond 25 director. Baz Bamigboye of the Daily Mail, who is known for getting 007 film scoops correct, finally weighed in and said that director Danny Boyle departed Bond 25 because Eon Productions wanted to bring in a new writer to replace his man, John Hodge. 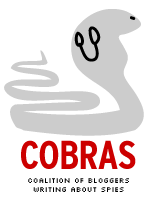 As a result, the blog has a series of “Mr. Obvious” questions. Did Boyle and Hodge do their due diligence before signing on for Bond 25? The 007 film franchise has a history of bringing in multiple writers to massage scripts. In the early days, Richard Maibaum replaced Johanna Harwood and Len Deighton on From Russia With Love. Paul Dehn replaced Maibaum on Goldfinger. Tom Mankiewicz replaced Maibaum on Diamonds Are Forever. More recently? Well, this decade, John Logan replaced Neal Purvis and Robert Wade on Skyfall. Purvis and Wade were summoned to replace Logan on SPECTRE. On both films, Jez Butterworth did work (but only getting a credit on SPECTRE). Assuming Bamigboye is correct, neither Boyle nor Hodge should have been surprised when Eon wanted a new scribe. Hell’s bells, Maibaum dealt with that sort of thing over 13 separate 007 films. Did Eon Productions do its due diligence before bringing on Boyle and Hodge? In 2017, Eon hired Purvis and Wade do the script for Bond 25. But that work got cast aside when the possibility arose of getting Boyle as director. But Boyle wanted his man, Hodge, to write it. 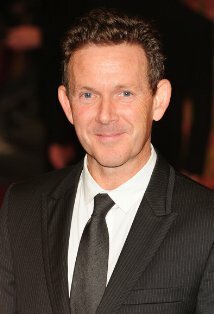 Boyle has a reputation for doing unique films and Hodge is one of his main collaborators. So you’ve got to figure they have a certain way of working. Yes, Boyle said he was a James Bond fan. Everybody (especially if they’re British) says they’re a James Bond fan when they hire on to work for Eon. But did Eon’s Barbara Broccoli and Michael G. Wilson really think through whether Boyle could adapt to working for Eon? 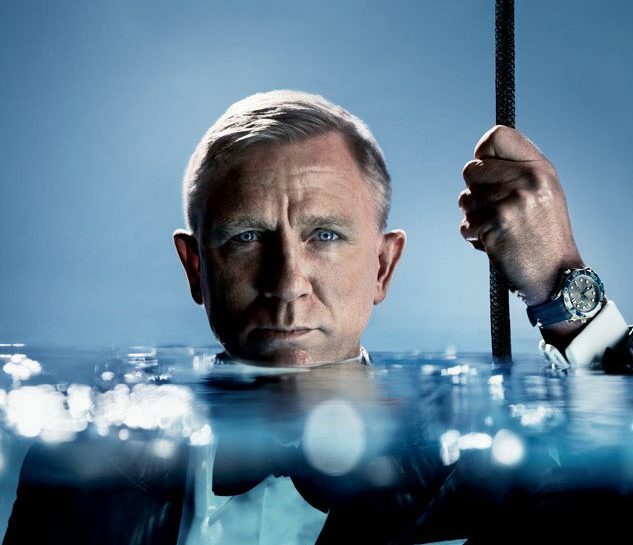 What role does Daniel Craig have in all this? Bamigboye’s story said Craig was a key figure in wanting a new writer to take over from Hodge. But is that really a big deal? Before the cameras rolled on Goldfinger, Sean Connery objected to some of Paul Dehn’s ideas (such as ending the moving with “curtains” being drawn). The 1998 book Adrian Turner on Goldfinger goes into this in detail. Tom Mankiewicz, in the documentary Inside Diamonds Are Forever, described a meeting he had with Connery. The star weighed on various issues, according to the screenwriter. So it’s not unprecedented for stars of Bond films to let their opinions be known. Granted, Craig had a co-producer title on SPECTRE, something Connery never got when he toiled for Eon. This month marks the 50th anniversary of Goldfinger, the third James Bond film. Where Dr. No and From Russia With Love were wildly successful, Goldfinger turned 007 into a phenomenon. 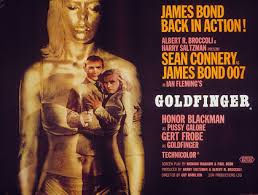 Where the first two films were escapist, Goldfinger was outlandish — a woman killed with gold paint, a car equipped with an ejector seat, machine guns and other weaponry, a plot to invade Fort Knox and a henchman who killed people by throwing a steel-rimmed hat at them. Audiences could not get enough. Worldwide, Goldfinger’s box office was 58 percent higher ($124.9 million) than the box office of From Russia With Love ($78.9 million). In the U.S., Goldfinger’s box office more than doubled that of its 007 predecessor ($51.1 million compared with $24.8 million). Sean Connery had become a star as Bond, his status confirmed by having his name “above the title” in the main credits. In the first two films, it was “Starring Sean Connery” immediately after the name of the movies was shown. As noted here before, Goldfinger was the tide that lifted all boats of the 1960s spy craze. In the U.S., The Man From U.N.C.L.E., which had struggled in the ratings early in its run, rallied around the time Goldfinger made its American debut. By the fall of 1965, spy shows would be a major attraction on U.S. television. 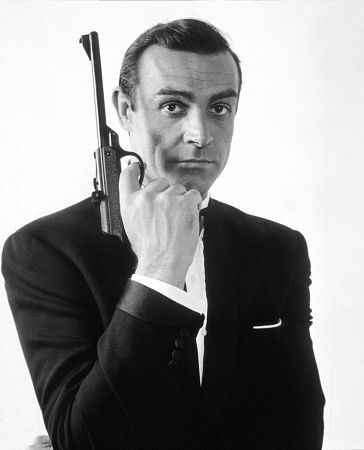 In theaters, Bond’s success encouraged both wildly escapist films (the Flint and Matt Helm series) and the occasional serious, “anti-Bond” film (The Spy Who Came in From the Cold and The Ipcress File, the later produced by 007 co-producer Harry Saltzman and having several 007 production crew members aboard.). Television commercials likewise were inspired by Goldfinger and 007. Harold Sakata, who played henchman Oddjob, starring in a series of spots for cough medicine. Butterfinger candy bars had a spot that utilized the hit John Barry-Leslie Bricusse-Anthony Newley Goldfinger title song. The movie has been analyzed in many, many places, including five years ago at this blog. It was a difficult film to script, with Richard Maibaum, and later, Paul Dehn tackling storytelling issues in Ian Fleming’s novel. The final script turned Fleming’s longest novel into a tight film that ran below two hours. In the 21st century, some Bond fans will say Goldfinger isn’t the best 007 movie. Some even say they’ve seen it so many times they’re really not sure they can watch it again. Still, whatever one’s opinion, Goldfinger changed everything in the 007 universe. 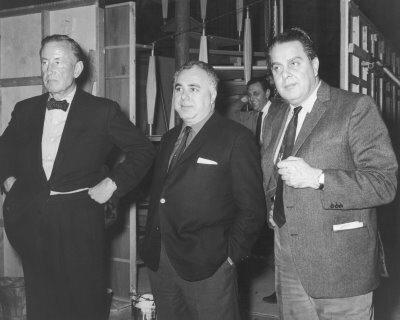 For years, producers Albert R. Broccoli and Harry Saltzman sought “another” Goldfinger. Richard Maibaum’s first take on Diamonds Are Forever included Goldfinger’s twin brother, an idea that was rejected. You can make the case that various 007 films are better. Some fans cite From Russia With Love, On Her Majesty’s Secret Service, Casino Royale and Skyfall among them. But Goldfinger, because of its impact not only on the 007 franchise but on other popular entertainment, may be the most important. There was a time that game shows sometimes featured major literary or even historical figures. 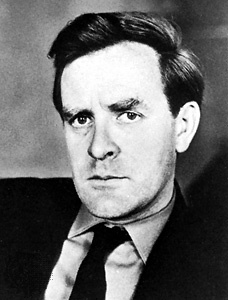 So it was in 1964 on the Mark Goodson-Bill Todman program To Tell The Truth when author David Cornwell, aka John Le Carre, was a contestant. At the time of the broadcast on CBS, the author’s The Spy Who Came in From the Cold was a best seller. Cornwell had sold the film rights and it would be made into A 1965 MOVIE STARRING RICHARD BURTON. 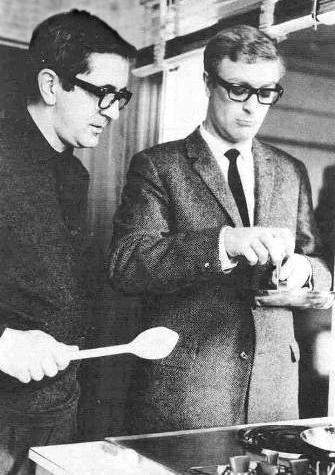 One of the screenwriters would be Paul Dehn, who had penned the later drafts of 1964’s Goldfinger. The regular panel of Tom Poston, Peggy Cass, Orson Bean and Kitty Carlisle faced the daunting task of determining which of three contestents had once worked in British intelligence. The outcome? Well, let’s just say it didn’t turn out well for the panel.